This volunteer spotlight focuses on Tracy Williams. Tracy teaches an art class for the children staying at the Hubbard House Emergency Shelter which provides them with an artistic outlet for their healing. 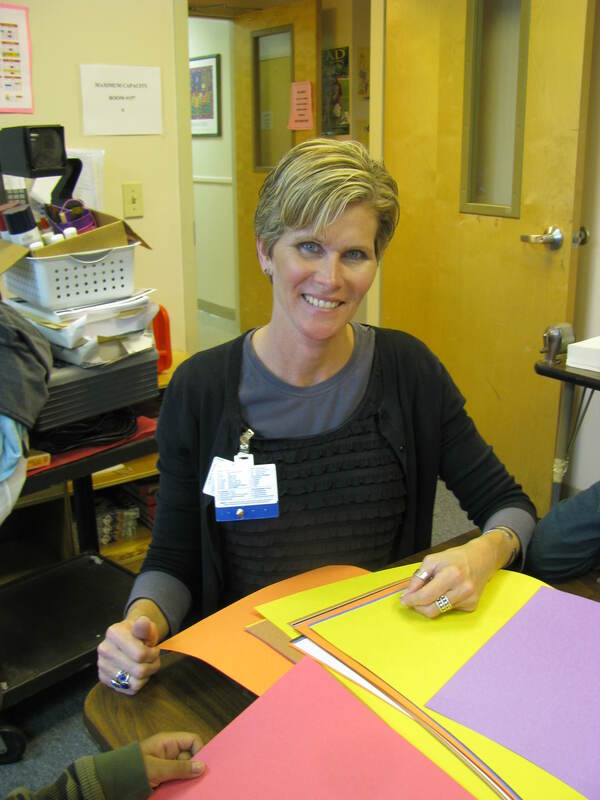 Why did you decide to volunteer at Hubbard House? I recently attended a training program with A Window Between Worlds (AWBW) in Venice Beach, California. The training was funded by Wolfson Children’s Hospital. AWBW is an art based program that provides services to survivors of domestic violence. What made you get connected with Hubbard House? I’m able to use the training I received through A Window Between Worlds with child survivors of domestic violence and victims of dating violence in my work as an art therapist at Wolfson Children’s Hospital, but I wanted to provide services through community outreach. I felt that Hubbard House was the perfect place to do this. What has your volunteer experience with Hubbard House taught you? I enjoy working with the kids at Hubbard House. They love making art and it gives them a way of getting their feelings out. Sometimes, it’s easier to get things out through art rather than find the right words. Kids are so close to their creativity and they usually dive right into art projects. It’s great to see the kids smile and be proud of their art. If you are interested in learning more about volunteer opportunities available at Hubbard House please visit www.hubbardhouse.org/help/volunteering/ or contact Tracy Knight at (904) 354-0076 ext. 251 or tknight@hubbardhouse.org. How many people live in your home? Are there two, maybe even six people? Can you imagine what it would be like to have to feed a home of 80 people at one time? This is the reality for Hubbard House and food donations from the community are extremely important in regard to keeping our pantry stocked. Hubbard House provides safe shelter to more than 1,000 victims of domestic violence each year and just like your home has the same basic needs. Currently, we are in need of non-perishable food and gift cards for perishable items such as meat, milk and eggs. Click here to view the complete list of food items needed. So, we’ve got the challenge, but do you have the goods? We know you do and here are some fun ways on how to gather them. Setup Shop: Grab a box and visit your local stores, churches or businesses and set up a simple food drive drop-off point. It really doesn’t get any easier than this! Subdivision Showdown: Setup a competition between department floors or office teams to see who can collect the most food. The winner gets bragging rights. Capture The Cans: Host a cook out or party for family, friends or coworkers and charge guest a number of non-perishable food items to join in the fun. From Peas to Pictures: Bring out the inner Picasso in your staff by having them bring in non-perishable foods and then using their foods to create sculptures. Award goofy or memorable prizes to the winning team that have a lasting impression on the staff. So, you’re unable to make a food donation? Don’t sweat it! Hosting a food drive isn’t the only way you can help. You can also help pack the pantry through monetary donations. Give a gift online through Network For Good. Call (904) 354-0076 ext. 281 to make a donation over the phone or for more information about financial gifts. 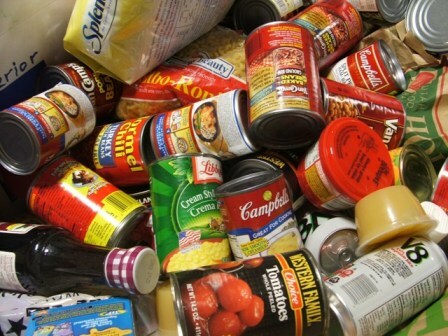 If you are interested in organizing a food collection drive, through your place of employment, with your family and friends, or through your civic or church group please contact us at donategoods@hubbardhouse.org or 904-354-0076 ext. 301. If you or someone you know is affected by domestic violence, Hubbard House can help. Please call the Hubbard House 24-hour domestic violence hotline at (904) 354-3114 or (800) 500-1119. ABOUT HUBBARD HOUSE: Founded in 1976, Hubbard House is a certified, comprehensive domestic violence center providing programs and services to more than 6,000 women, children and men annually in Duval and Baker counties. While Hubbard House is most known for its emergency shelter, the agency also provides extensive adult and youth outreach services, school-based education, therapeutic child care, batterers’ intervention programs, court advocacy and volunteer and community education opportunities. Visit www.hubbardhouse.org to learn more. 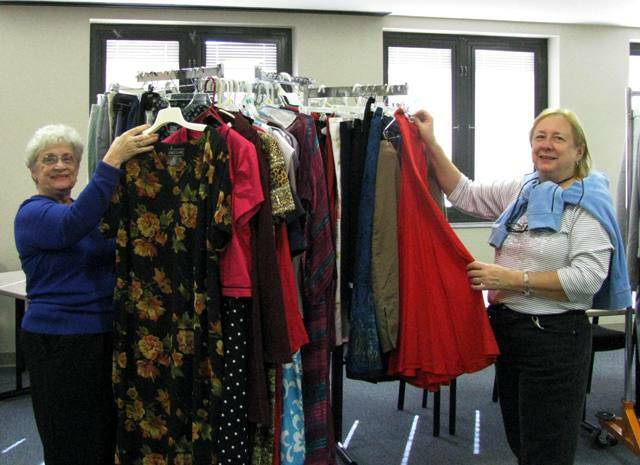 This volunteer spotlight focuses on Sharon Moran and Barbara Mahar, who maintain the Hubbard House career closet by collecting and organizing donations (clothes, shoes, bags, accessories) and assist residents in picking out appropriate outfits for court and/or job interviews. Barbara: I feel that it is a way to give back in some small way. While I was not physically abused, my mother was. Sharon: My second husband was verbally abusive. I feel giving back to this organization helps keep me grounded. There are so many people that have become involved by giving time, clothing and bags for the ladies – it is a great feeling to be able to help in some small way. Barbara: Hubbard House put in a request at my work for toiletries and business attire. Sharon: When I worked for ATT American Transtech/Convergys they had a clothing drive. Barbara and I got involved with that clothing drive in 2006 and we both have been active ever since. Barbara: I’ve learned that things are not always as they seem, and not to judge too quickly. I’ve also learned that most everyone needs help at some time in their life. Sharon: Things are not usually what they seem. So many times I think I have it all figured out and what a surprise when I have it all wrong. Keeping God first in my life and letting Him make the plans is difficult for me but always works out for the good. For many people, Mother’s Day is an opportunity to stop and thank their mother or mother figure with a gift, a token of their love and appreciation. For Hubbard House, Mother’s Day is an opportunity to give one more day of peace to the up to 80 women and children who are staying in our Emergency Shelter. It’s another day to give the gift of hope and the courage to build a better future. While the majority of the population celebrates Mother’s Day outside of our shelter walls, those who pass through our doors receive life-changing support that can make the difference between life and death. Mother’s Day holds significant meaning for women and children who escape violent homes and walk down the path of restoration. Dedicated staff and volunteers create the foundation for providing our clients with the necessary knowledge, skills and resources to step out of their abusive situations and enter a place hope. Hubbard House recognizes this special day as a time to continue our mission and offer a special thank you to all the mothers and mother figures that courageously work towards making our world a better place by promoting non-violence. Also, it is a time to thank our dedicated volunteers and supporters for helping us give the thousands of mothers who turn to Hubbard House each year the ability to break the cycle of abuse and provide their children a violence-free home. 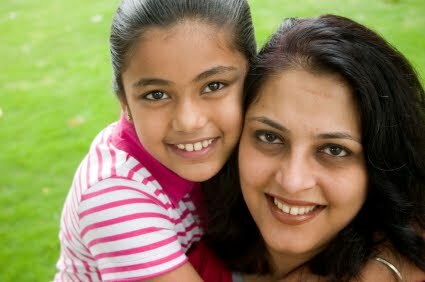 Hubbard House wishes you a Happy Mother’s Day. You love me. You love me not. While most people eventually move past pulling petals to determine the state of their romantic relationship, keen observation of the teenage dating world shows that there are still some serious issues with making healthy dating choices. The connection between low self esteem and unhealthy (or even abusive) relationships is well-documented by researchers, and with May being National Teen Self Esteem Month, Hubbard House wants to recognize the important role of self esteem in teen dating relationships. During this month, parents and guardians and other authority figures are encouraged to act as positive role models, help stop negative self-images, and improve confidence and security among adolescents. Too often – one in three cases, to be exact – adolescents in dating relationships experience some form of abuse (whether physical, sexual, emotional or verbal), a number far higher than the rates of other forms of youth violence. This number alone is reason for concern, but it becomes even more alarming when coupled with the fact that only 33 percent of teens involved in those abusive dating relationships ever tell someone, and around eighty one percent of parents report that they either do not believe teen dating violence is an issue or admit they don’t know if it’s an issue. Recognizing the positive characteristics of healthy dating relationships can help teens prevent or end unhealthy dating relationships that could lead to abuse. Hubbard House developed the Relationship Abuse Prevention program (RAP) as a means to prevent teen dating violence by working with middle and high schools in Duval County. The program offers students dating violence education, provides techniques for healthy, non-violent conflict resolution through communication skills, and emphasizes healthy self esteem to make positive choices. Last year, RAP was presented to 5,624 youth.